Early symptoms of dental caries include pain and difficulty in eating. In addition, the first indication of the dental caries is a small patch of de-mineralized enamel at the tooth surface. 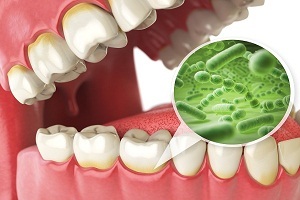 The acid produced by the bacteria can sometimes leak through the pores in enamel and decay soft layer (dentin) and the main body of the teeth. 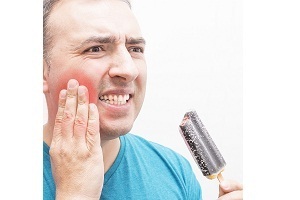 The damage can occur anywhere in the mouth where the teeth are exposed to plaque and acid. Cavities in children can cause severe complications like pain, tooth loss, broken teeth and severe infections. 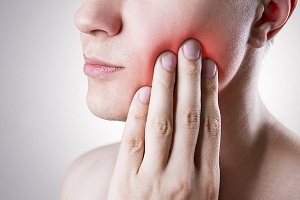 Other complications like inflammation of tissue around teeth, infection and teeth loss may also develop along with it. The reason behind pain and inflammation is still unknown to doctors. 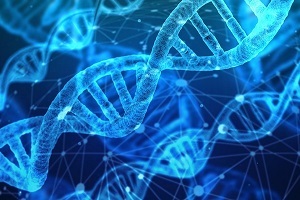 However, some researchers say that inflammation caused by bacteria and exposure of root surface can be associated with pain. If it is left untreated and the decay is not removed, bacteria will continue to grow and produce acid. Eventually, the acid will get into the inner most layer of the tooth containing sensitive nerve fibers. The most common and easily available treatment for dental caries is tooth filling. The treatment is highly recommended by the doctors. 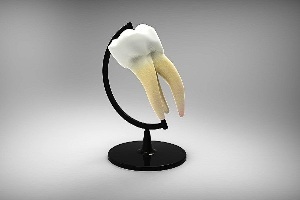 There are different materials that are used as tooth fillers like dental amalgam and composite resin etc. Tooth fillings are a silver-gray material made up of silver or copper alloys. Earlier, mercury alloy was also used for the tooth filling. Composite resin is a tooth-colored material which offers a better appearance. 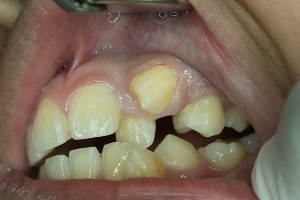 It is possible that dental caries develops under old amalgam fillings. In such cases, infection is not visible to naked eyes and even by X-rays. Thus, doctors recommend composite resin filling. Sometimes, because of the size of the cavity, the decayed tooth may not be able to support other teeth. To solve this problem, a dentist generally drills the decayed tooth and covers the space with the artificial crown. This is done in the dental office or professional dental clinic. Artificial crowns are customized fitted shell that covers the decayed teeth. These crowns are made up of gold, porcelain or any other material. As the decay advances, the dentist may perform a root canal. This treatment requires removal of pulp from the center of the tooth. This includes removal of nerve, blood vessel and tissue along with the decayed portion of the tooth. The roots are then filled with a sealing material. An additional crown can be placed over the filled area. As the decay reaches the inner most portion of the tooth, the root canal may be the best treatment option. The root canal is a treatment to repair severely damaged tooth instead of removing it. 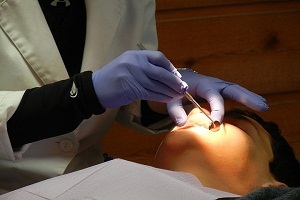 Medications are often put into the decayed tooth to clear the infection before the root canal. A fluoride treatment is often recommended if the caries is diagnosed in very early stage. It can help in restoring enamel and can reverse the cavity. Fluoride treatment requires more amount of fluoride as compared to what is present in drinking water. Fluoride treatment can be liquid, gel or foam that can be used to gargle or brush teeth. 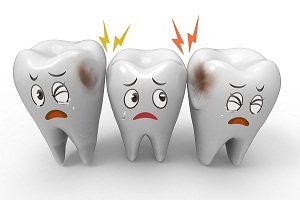 Sometimes, infection advances to the level where it severely damages the tooth. In this situation, the tooth needs to be extracted, as it cannot be restored. 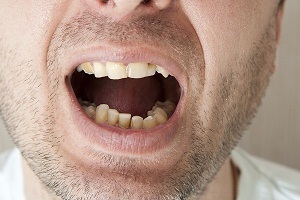 Removal of tooth leaves a gap in the mouth that allows other teeth to shift a bit. 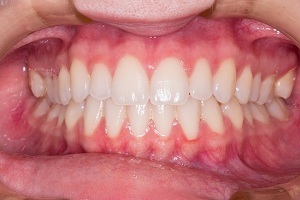 Often dental implants and bridges are used to cover this gap of missing tooth. 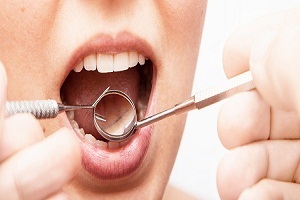 Regular dental checkups are important for the diagnosis of cavities and other oral problems. Timely treatment and proper medication are required to halt the advancement of infection into a more serious problem. 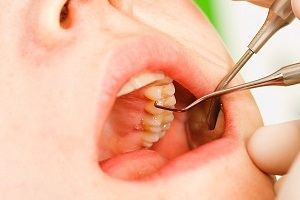 Read about the diagnosis of dental cavities here. Extensive treatments are not required if caries is treated before it starts causing pain. 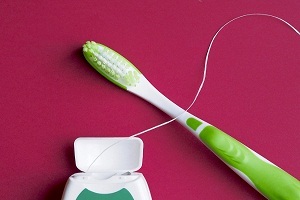 The more careful you are towards your oral health, lesser are the chances of developing oral issues.